WIN A HONDA HRV OR 20K CASH! Commencing MONDAY 5th NOVEMBER, 10am. 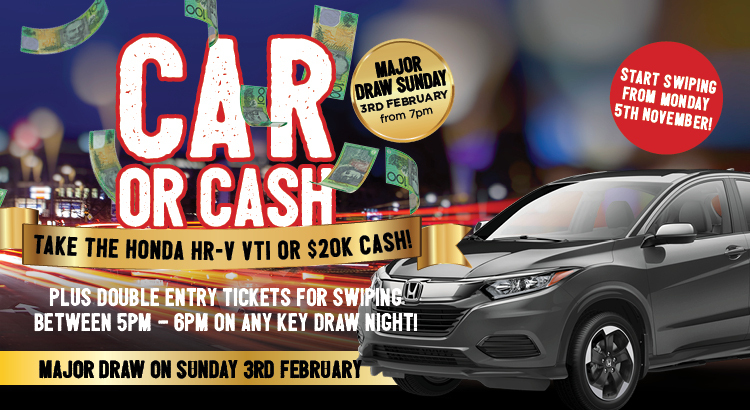 Your chance to WIN A HONDA HRV VTI or 20K CASH! Authorised under NSW permit LTPS/18/29325. Full T&C’s available at reception upon request.